Nominated! 😆😆😆 The shell wristlet is nominated in the Macy’s best retail bag category, hooray!! 🎉🎉🎉 This is my fifth year in the handbag business, and I have met some great people who wanted to help me to expand the brand, but my stubbornness preventing from so. And don’t take me wrong, I kinda enjoy it this way, small studio, and make each bag by hand. As the world turning into a fast pace global factory, I would prefer to have one thing that’s done in the old-fashion way. Again, I’m grateful for this amazing opportunity, and looking forward to see everybody at New York! It's already been 4 years since I took an accessory class in 2013, time flies! New bags added to Nature for 2017! Welcome 2017! we have added new design added to the collection. Geometrical shapes is the urban side of our lives, we work and social, we are logical and friendly and we use technology to remain connected. And nature texture is representing people’s instinct as a human being. I appreciate nature and I always love seeing leaves and flowers on my walk with dogs. It’s so normal and magical at the same time. These two elements are the basic of our lives now and I want to use these two inspirations to admire human being and the mother nature. The Flower Bag Won! 2016 A Design Award! Independent Handbag Designer Award Ceremony at NY! 3 days in New York, had so much fun, met so many people, and found a lot of independent boutiques. This trip is already giving me more than I can ask. Thank you, everyone, for helping me out on this handbag journey! Our New Collection is Out! 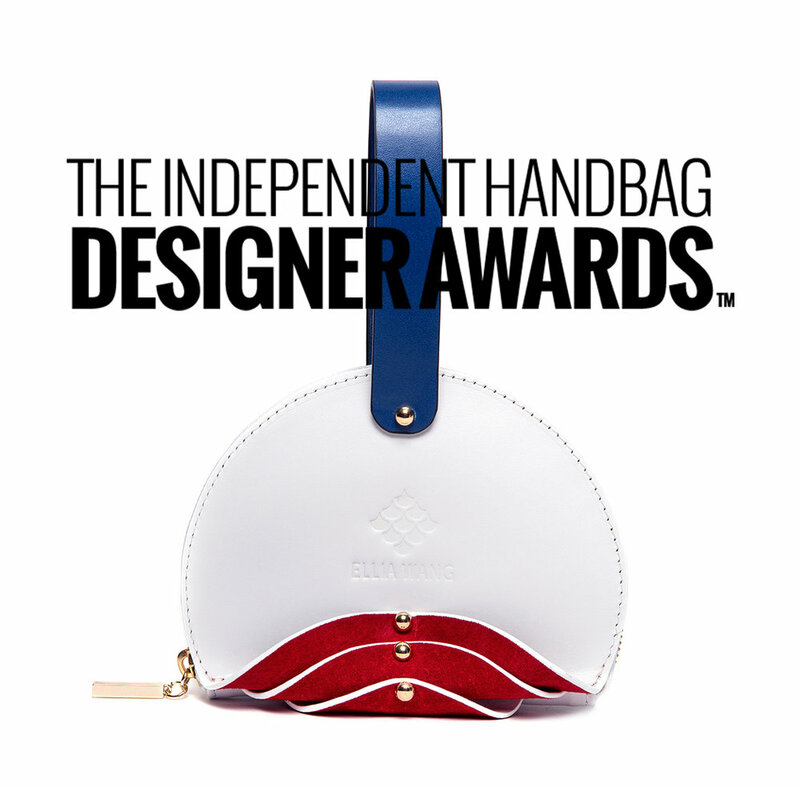 We are a finalist at Independent Handbag Designer Award! The EVINE Live Best Handbag in Overall Style and Design – These bags represent the best-execution in complete style and design. The winner in this category will receive a booth at WWDMAGIC, a mentorship with Hilldun, and a brand consultancy with the Accessory Think Thank. The Best Overall will also earn an exciting opportunity to sell her line on-air on EVINE Live. NJAL’s logo, a black sheep, was chosen because of the mission the company set for itself: stand out, swim against the stream, break moulds and change the landscape of fashion. 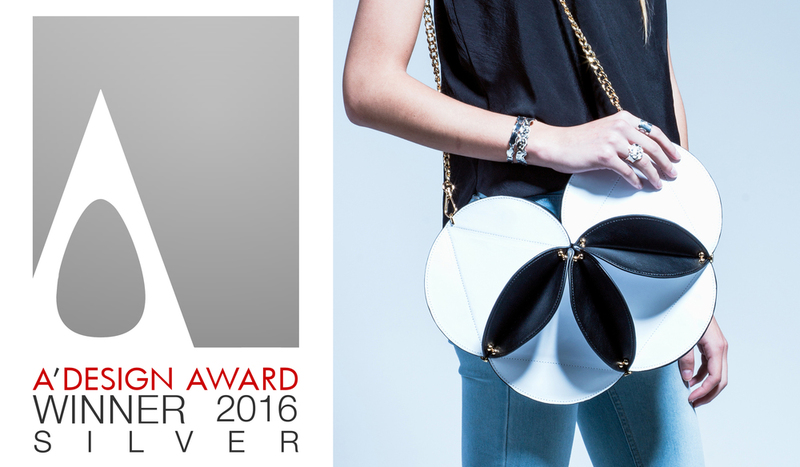 The Layer Clutch handbag won the Bronze A' Design Award! We are pleased to announce that Geometry Layer Clutch Handbag have been awarded the Bronze A' Design Award in the category of Fashion and Travel Accessories Design! We are Featured in NOT JUST A LABEL | D3 Dubai Project! We are on Accessories Magazine! Ellia Wang is inspired by so many things around her that she is constantly design and creating new ideas for her collections. As a designer, she finds it difficult to stay on track because, when her creative juices are flowing, she may end up with hundreds of sketches. Her design process is very personal, involving difficult elimination and refinement to the collection. It takes days to pick the right handbag, dozens of prototypes and an unlimited amount of flats. In the end, her hard work is paid off when quality products are formed. Our signature layered clutch bag paired with wide white shades and a cute dress to enjoy the beautiful day. Simple and clean, this clutch adds classic touch to a comfortable and casual outfit. This company does not simply design, create, and sell innovative leather goods. 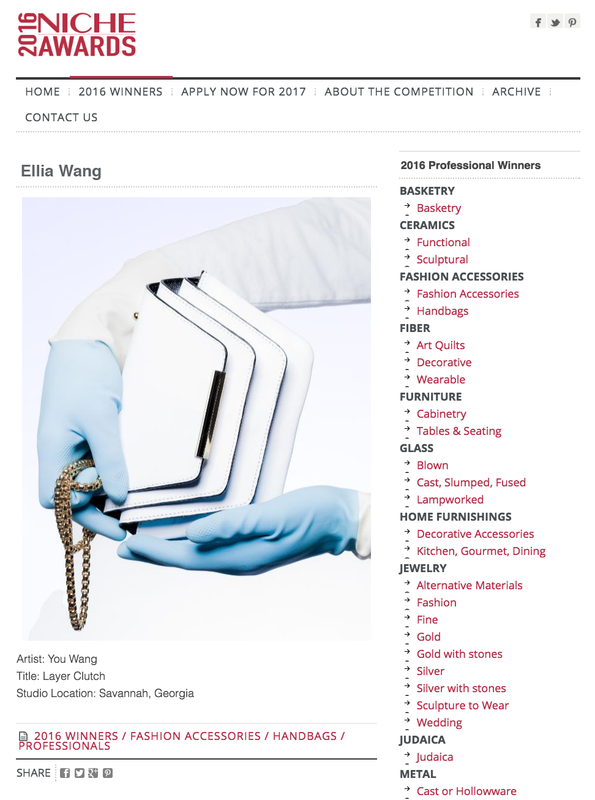 Ellia Wang represents a lifestyle with products that reflect our customer. Our aesthetic and creative designs resonate with her. These products fit comfortably in her everyday life.